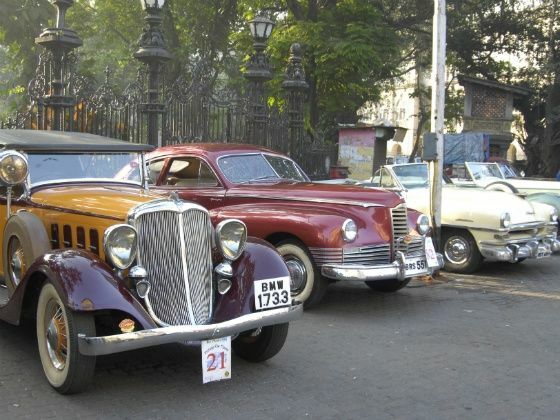 The Vintage Classic Car Club of India will hold its annual rallies in Mumbai and Pune soon. The Vintage Classic Car Club of India, one of the oldest and most respect car clubs of the country have announced tentative dates for its forthcoming vintage car gatherings and rallies in India. Apart from Mumbai and Pune, cities like Delhi and Jaipur will also host large-scale vintage and classic car rallies that usually see over 200 cars and bikes participate in the yearly affair. As the monsoons recede and winter officially sets in, so does vintage and classic events all over the country. The first major event will be the VCCCI rally in Pune, which is scheduled to be held on December 13 and 14. The VCCCI rally in Pune sees an eclectic mix of cars from well known collectors like the Poonawalla family and a mix of cars from other cities around Pune too. The annual Mumbai rally, essentially the crown jewel of the VCCCI, is to be held on January 31 and February 1, 2015 and sees cars and members join in from all parts of the country. The annual Mumbai rally sees upwards of 200 cars and about 100 bikes that form part of the annual fiesta that celebrates these motoring icons. Everything from the humble Fiat 1100 to royal Rolls-Royces make an appearance at the event with an eclectic mix of sports cars and veteran cars in the mix. The 21 Gun Salute Rally in Delhi will also be held on February 7 and 8, 2015 followed by a vintage and classic rally in Jaipur sometime in mid February. The vintage and classic season will of course be topped by the long awaited forth running on the Cartier Concours d’Elegance, which will be held on March 13-14, 2015 in Delhi.